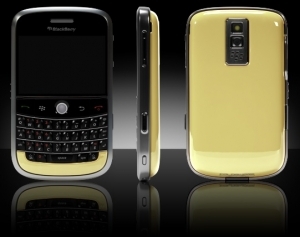 BlackBerry Bold gets paint job from Colorware | BlackBerry Blast! If you're bored with the boring BlackBerry Bold color, you can spice things up with a paint job from Colorware. Colorware has just added the BlackBerry Bold to their lineup of phones and other devices that they customize. "ColorWare offers two types of colors: metallics and solids. Both metallics and solids have the same high-gloss, scratch resistant finish, and either type will make your phone look stunning. If you like a little variation and sparkle, choose from the metallic colors, which contain tiny flakes within the color. If you prefer pure colors with no effects, pick a solid color. Or go for the contrast of combining effects with one or two of each type."